It’s New York Fashion Week! It’s day one of the Mercedes-Benz Fashion Week in New York City! The trends for the season are coming into light as models begin flooding the runways this week, showing off designers’ hot new styles. 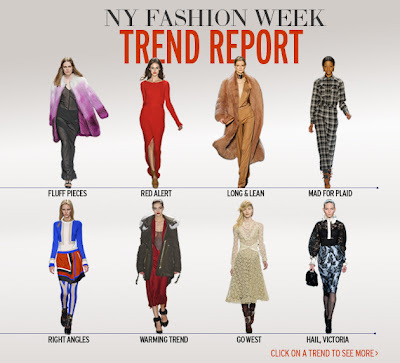 Check out the Trend Report on Elle.com for expansive galleries of what’s going on in the fashion world this season Here!